Dubai: Technology and social media is an undeniable and intrinsic part of our lives that cannot be wished away. But living from one screen to another with the blue light lighting up most of our lives is hardly the way life was meant to be. 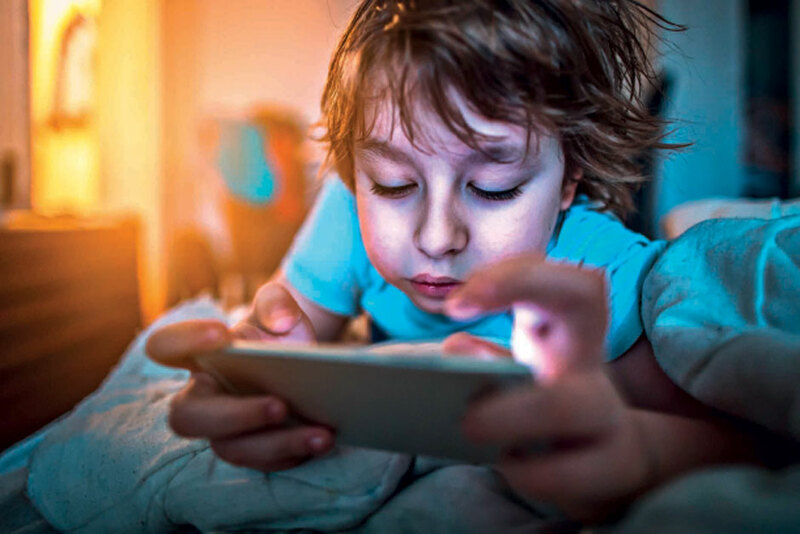 The most alarming trend is to see digital addicts as young as one and two year olds who are oblivious of the flowers and sunshine and outdoor games and remain transfixed to the screens of their phones, iPads and tablets watching cartoons and revelling in a two-dimensional world. It not only robs them of appreciating a full life of physical games, friendships and real relationships, but also steals all of their waking hours and enslaves them to their smart gadgets. Something that a group of 45 children recently discovered when they attended a digital detox workshop on August 4, for an entire day and came back reclaiming their lost childhood at the Aster Hospital Al Ghusais. The highly successful workshop divided the kids into the age groups of 8-12 and 13-18 and had different activities designed for the children. There was a ‘Know Your Child’ session for parents who were counselled about their own digital addictions and advised on how to gradually wean off their children tactfully. The children had a packed day of activities that included yoga, art and crafts, physical games and social interaction opportunities, some creativity practicals and a treasure hunt, all of which helped them discover the exciting social world beyond the electronic gadgets. Most children came back absolutely focused, alert and happy with resolves of keeping more time for real interactions in the real world. Dr Sejal Patel (right), paediatrician at the hospital said: “Digital addiction that we see around commonly in kids affects all their developmental milestones, especially when you see kids as old as one year playing with tablets and iPads. According to Dr Patel kids learn socialising from parents and older siblings. However, by devoting a major part of their time to the digital world they miss out on social and emotional cues. That not only isolates them but also seriously interferes with their ability to build interpersonal relationships. One major factor that impacts their performance in schools is their engagement with social media and the digital world way past their bedtime. “Nowadays, most kids are playing with their smartphones, chatting with friends, sharing pictures and video clips way past their bed time. This interferes with their sleep cycle and Circadian rhythms. Sleep deprivation makes them irritable and aggressive in school when they are unable to concentrate and their grades fall. It is a domino effect,” she cautioned. Unnecessary engagement with social media eventually leads to low self-esteem, stress and mindless eating that gives rise to obesity in childhood, added Dr Patel. Dr Mohammad Tahir (right), child, adolescent and adult psychiatrist and chairman of the American Wellness Centre, Dubai explained the psychological deviations that such addictions bring on: “When a child is born, his or her brain is like an empty disc. The programmes in there are written as he grows up and has human interaction. His emotions develop, he learns empathy and also forges interpersonal bonds. According to Dr Tahir, socialising is a skill that we human beings learn as we grow and mature. He says the interface with digital media for long hours is dangerous because it allows a child to spend long hours in a one-way interaction without any reciprocal response from the other side. Besides inducing aggression, electronic media that is heavily dependent on visuals also kills imagination and creativity in a child. Earlier when children read books they had to summon up the power of their imagination to conjure up characters they read about which made reading a highly creative exercise. Now all the child does is click a button to ‘see’ that character. “Constantly being in a two-dimensional world can actually atrophy other faculties of a child,” cautioned Dr Tahir. Silky Agarwal with her son Ansh. Silky Agarwal send her 9/12 year old son Ansh Jain for the digital detox workshop. “My son, a grade five student at The Millennium School is a very bright student who is addicted as much to reading as he is to his tablet, iPad, mobile and laptop. “Digital media is a necessary evil today and we cannot keep our child away from it. But as parents we have a duty to reduce the number of hours a child spends on these. My husband and me are conscious of that and constantly trying to do this,“ she said. Aggarwal was upset that these days children are encouraged to take a photograph of the school homework from the board. “We do not want to deprive Ansh of the advantages of the digital world, but we were always trying to cut down the interaction time. We always first make sure that he has done his yoga and breathing and completed his homework before allowing him to use the phone or laptop and that too for short durations (about 10-15 minutes),” she said. Agarwal was thrilled with the workshop: “It really worked because Ansh came back super-excited at being able to make so many friends. The yoga session and treasure hunt was really stimulating and finally they had a session where children were asked to create their own games. This was the most enjoyable part of the workshop. I can see that Ansh has become more interactive, talkative and happier and is spending very little time with his digital gizmos,“ she said. Parveen’s son, like Ansh, has come back a changed student from the digital deaddiction workshop: “It was transformative for my son. He has suddenly discovered his interest in arts and crafts and has also begun playing with friends. He spends about two hours on craft work and that has reduced his time on the phone and laptop. I can see he is much happier and alert now,” she said. Health specialists say parents these days who are addicted to their chat groups and smartphones are as much to blame for their children’s digital addiction and they have to work this out as a family by setting some ground rules that apply to all. 3. Restrict time for digital interface at home, slowly cutting back the number of hours the child has access to gadgets. 6. Restrict and reward are two ways to deaddict your child. When you restrict your child, find him other stimulating and interactive outlets for creativity such as playing a musical instrument, pursuing a game, some arts and crafts. By providing a physical reward or verbal appreciation when he/she has kept away from the digital gadget will also serve as a positive reinforcement to wean him/her off.